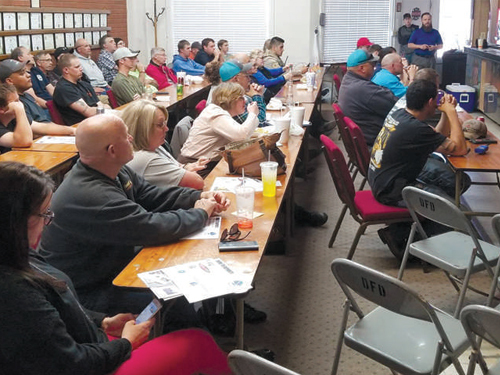 More than 40 people attended this year’s storm spotter training class at the Dalhart Volunteer Fire Department on Monday, taking the opportunity to learn more about severe weather and become an official storm spotter. “We had 46 in attendance. That’s a pretty big crowd,” Dalhart fire chief and bi-county emergency manager Curtis Brown said. Through the one-night class, attendees learn terminology for clouds and how to properly identify tornadoes. 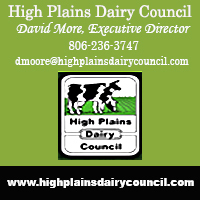 For the full story SUBSCRIBE to the online edition of The Dalhart Texan, call (806) 244-4511 to setup a subscription to our physical paper or pick a copy up at one of our many convenient news rack locations. You can also stop by and purchase a paper or subscription in person at our news office located at 410 Denrock Ave.